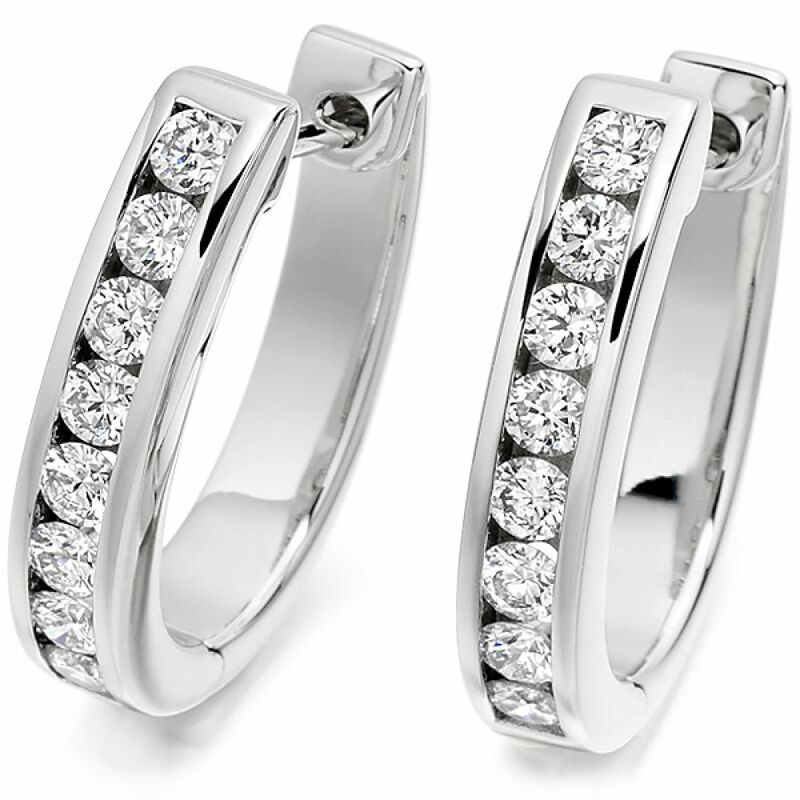 A Pair of Round Brilliant cut diamond hooped earrings. A pair of elegant, Round Brilliant cut Diamond hoop earrings that would compliment any outfit. The sixteen individual Diamonds, total carat weight of 0.76 carats per pair, are expertly set within a channel setting. The hoop design rests gracefully upon the earlobe and allows the natural beauty of the VS1 Clarity, F Colour Diamonds to be exquisitely displayed. These meticulously finished earrings are available in 18 Carat White, Rose or Yellow Gold, 950 Palladium and 950 Platinum to suit your personal preference. Each pair of earrings is crafted to order so please allow 4 weeks for delivery. They will then arrive at your door beautifully presented in our bespoke Serendipity packaging, ready to be enjoyed for a lifetime. 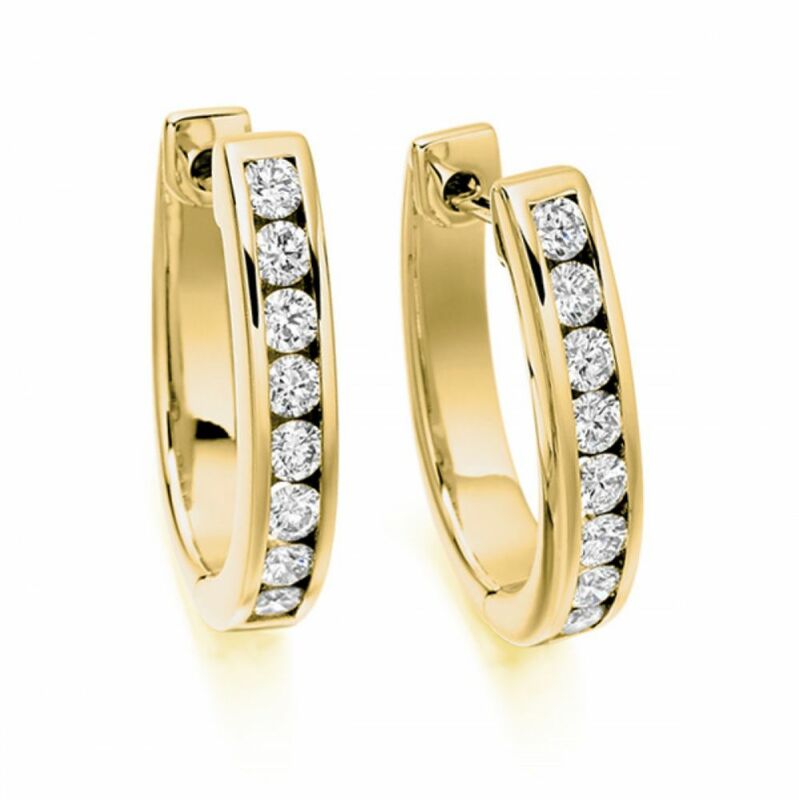 Canadian clients can now go the extra mile adding greater meaning to their purchase by choosing Fairtrade Gold. Fairtrade Gold is a more expensive metal choice, but we have equalised the price with regular Fairtrade Gold for all clients across Canada. By choosing this ethical jewellery option, impoverished artisanal gold miners receive a fair price for the gold they mine, and a premium per kilo. This premium goes towards helping build their community, with education and welfare amongst many other positive changes.